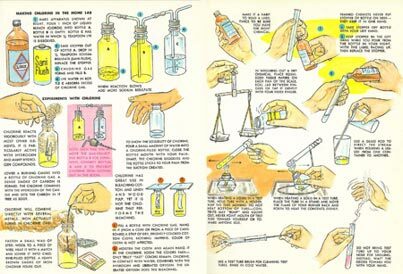 Among many other things, the Golden Book of Chemistry Experiments told you how to make chlorine gas from bathroom supplies, hydrogen from flashlight battery parts, and rayon from scrap paper, etc. You can see why it was not reprinted in the decades following because of concerns about safety. I used my copy, which is now worth $200 on eBay, to do all the experiments in the book when I was 12, and went on to build a chem lab in my basement. As many kids did. Golden Book of Chemistry Experiments, 1960. The Golden Book encouraged playing around with molecules, with no agenda beyond demonstrating the power, principles, and diversity of chemical reactions. The Illustrated Guide on the other hand is a basement laboratory manual meant to teach you the basic working principles of chemistry. How to mix a molar solution. How to titrate. How to do quantitative sleuthing. It claims that if you go through all the chapters you’ll be prepared to pass the college-level AP Chem Lab test. You would also be able to work in most laboratories. And of course, you would probably be able to follow most chemistry recipes from the internet, or at least to figure out what you need to make something chemistry-wise. At the very least, this book should help cure any hysteria you — or your kids — might have about CHEMICALS. Sure, they can be dangerous, like your car. But we are surrounded by chemicals, and the only way to understand their real risks is to mess around with them. 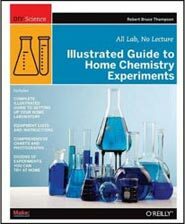 Illustrated Guide to Home Chemistry Experiments is a fantastic teacher for chemical literacy. It will show you or your kids how to work with chemicals, and why they are fun. Some of the experiments are visually entertaining. Others are scientifically important. 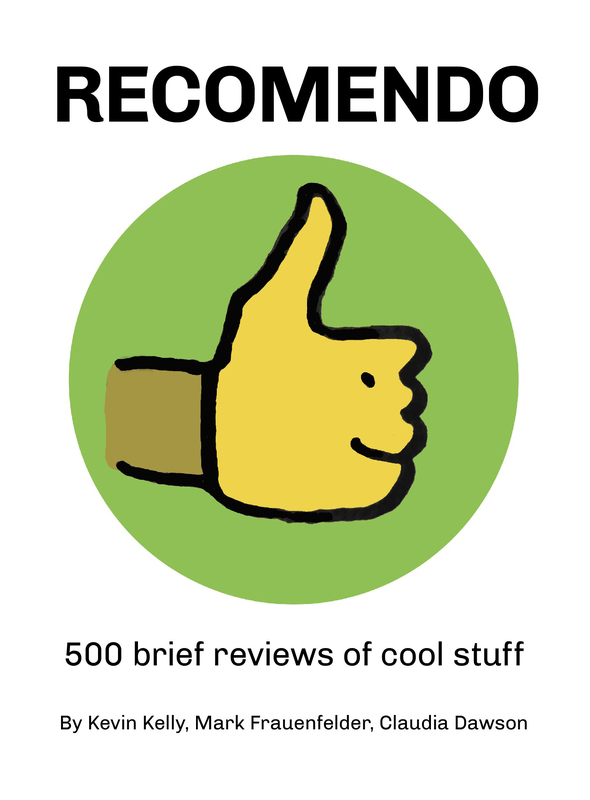 It’s got wise advice about the few bits of equipment you’ll need for your lab. The Illustrated Guide very handily provides substitutions for ingredients whenever possible, so you can work around harder to acquire or expensive chemicals and gear. And it very conscientiously gives proper disposal instructions for substances at the end (the first I’ve ever seen in a chem book). The author is thrifty, using no more stuff then necessary, and always suggesting ways to purchase the minimum equipment. Other than the hidden Golden Book of Chemistry Experiments, there are simply no other decent books for the beginner chemical experimenter. The ones you find in libraries are simply useless trash. The stuff on the internet is haphazard and inconsistent. Follow the instructions here in the Illustrated Guide to Home Chemistry Experiments and you’ll be on your way to chemical literacy. Everyone rightly treats strong acids with great respect, but many students handle strong bases casually. That's a very dangerous practice. Strong bases, such as solutions of sodium hydroxide, can blind you in literally seconds. Treat every chemical as potentially hazardous, and always wear splash goggles. A laboratory notebook is a contemporaneous, permanent primary record of the owner's laboratory work. In real-world corporate and industrial chemistry labs, the lab notebook is often a critically important document, for both scientific and legal reasons. The outcome of zillion-dollar patent lawsuits often hinges on the quality, completeness, and credibility of a lab notebook. Many corporations have detailed procedures that must be followed in maintaining and archiving lab notebooks, and some go so far as to have the individual pages of researchers' lab notebooks notarized and imaged on a daily or weekly basis. If you're just starting to learn about chemistry lab work, keeping a detailed lab notebook may seem to be overkill, but it's not. Do not overlook the advantages of banding together with other home schoolers or like-minded hobbyists to buy chemicals in bulk. For example. a vendor may charge $3 for 25g of a particular chemical. $5 for lOO g, and $9 for 500 g. If you need only small amounts of chemicals, you may be able to cut your chemical costs dramatically by arranging with other homeschooling families or hobbyists to order chemicals in larger quantities and divide them among you. The cost advantage is particularly great for chemicals that incur hazardous shipping surcharges. For example, if you order 100 rnL of concentrated nitric acid for $5. the vendor may add a $35 hazardous material shipping surcharge, for a total of $40. But if you order a 500 mL bottle of concentrated nitric acid for $15, the same surcharge applies, for a total of $50. If you divide that chemical with four friends. each of you gets 100 mL of concentrated nitric acid for only $10. The recent trend in chemistry labs, particularly school and university labs, is to substitute microscale chemistry equipment and procedures for traditional semi-micro or macroscale equivalents. Microscale chemistry, often called microchemistry, is just what it sounds like. Instead of using standard test tubes, beakers, and flasks to work with a few mL to a few hundred mL of solutions, you use miniaturized equipment to work with solution quantities ranging from 20 pL (microliters, where one pL equals 0.001 mL) to a couple mL. Using microscale equipment and procedures has many advantages. Microscale equipment and procedures are less expensive than standard equipment and procedures, which is a major reason for the popularity of microscale chemistry. Using microscale equipment and procedures means that chemicals are needed in very small quantities, which are safer to work with and easier to dispose of properly. Microscale also makes it economically feasible to do experiments with very expensive chemicals, such as gold, platinum, and palladium salts. Setup and teardown is faster, allowing more time for actual experiments, and cleanup usually requires only rinsing the equipment and setting it aside to dry. 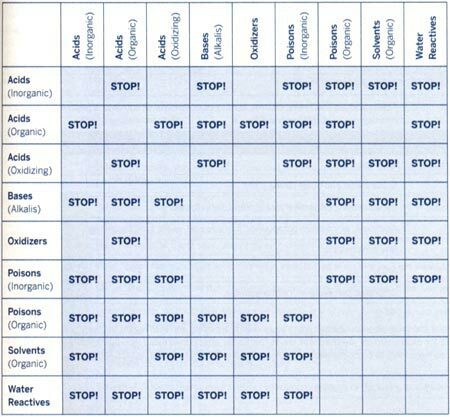 Against these advantages, there are several disadvantages to microscale chemistry. First and foremost, everything is on such a small scale that it can be difficult to see what's going on. 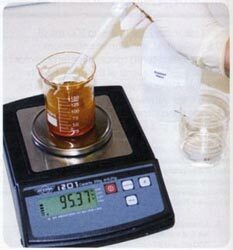 For example, you may need a magnifier to examine a precipitate (or even to determine whether there is a precipitate). Because of the small scale, measuring or procedural errors so small that they would have no effect on a traditional scale experiment can greatly affect the outcome of a microscale experiment. Some of the chemicals you work with may stain or otherwise damage wooden or laminate work surfaces. I protect my work surfaces, which are standard kitchen laminate counters, by covering them with rubber nonslip mats that are available in various sizes and thicknesses at craft stores. I also put an old bath towel between the counter top and the rubber mat. The mat provides a smooth. level, chemical-resistant work surface, and the old towel absorbs any liquids that run off the mats. My advisor. Dr. Mary Chervenak, is an expert on paints and coatings. I asked her and my other advisor. Dr. Paul Jones. if there was any kind of paint that could be used to protect surfaces from most laboratory chemicals. The short answer is "not really." Standard latex, polyurethane, and epoxy-based paints and coatings offer reasonablv good protection against many reagents and solvents. including the dilute reagents used in most of the experiments in this book. However, they offer less (or no) protection against strong acids or bases or some organic solvents. Still, as Dr. Jones commented, some protection is better than none, and in a sense you can think of these pints as ablative coatings. The coating itself may dissolve in or be eaten away by a strong chemical. but it may protect the underlying surface long enough for you to dilute, mop up, or neutralize the spill. It I used a wooden workbench or a similar surface. I'd put several thick coats of an epoxy-based deck or floor paint on it. and then protect it further with a rubber mat and towel. Even if you take reasonable precautions and work carefully, it's almost inevitable that at some point you'll spill something nasty on your work surface. That's a good argument for choosing a work surface that's expendable. If you eat holes in a sheet of plywood or particle board, that's cheap and easy to replace. If you eat holes in your washer/ dryer. you may have some explaining to do. This book is for anyone, from responsible teenagers to adults, who wants to learn about chemistry by doing real, hands-on laboratory experiments. DIY hobbyists and science enthusiasts can use this book to master all of the essential practical skills and fundamental knowledge needed to pursue chemistry as a lifelong hobby. Home school students and public school students whose schools offer only lecture-based chemistry courses can use this book to gain practical experience in real laboratory chemistry. A student who completes all of the laboratories in this book has done the equivalent of two full years of high school chemistry lab work or a first-year college general chemistry laboratory course. And, finally, a word about who this book is not for. If you want to make fireworks and explosives-or perhaps we should say if all you want to make is fireworks and explosives-this book is not for you.